"Every parent wants the best for their child," Frerichs said in a statement. "With this program, we can ensure that families who have a loved one with a disability or blindness get the tools that they need to plan for their future." Illinois State Treasurer Michael Frerichs announced the launch of a 14-state partnership Monday that encourages individuals to invest money on behalf of people with a disability or blindness without jeopardizing their federal disability benefits. 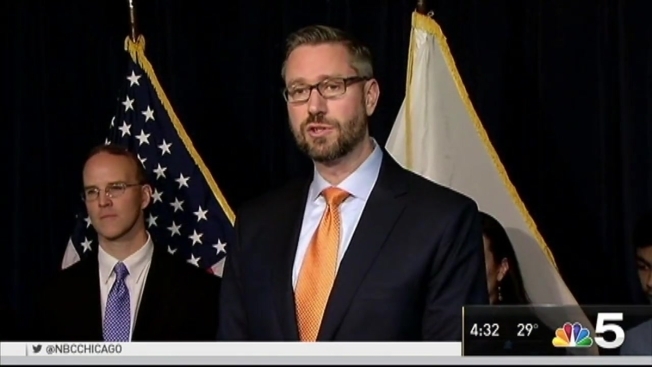 After nearly two years of negotiations, Frerichs announced Monday that Illinois will lead the National Achieving Better Life Experience (ABLE) Alliance, the country’s largest multi-state agreement for special investment tools that allow for tax-free investment growth when proceeds are spent on qualifying disability-related expenses. The ABLE Alliance also includes Alaska, Arizona, Indiana, Iowa, Kansas, Missouri, Minnesota, Montana, Nevada, New Jersey, North Carolina, Pennsylvania and Rhode Island. Each state will have a unique start date for the program. Additionally, Illinois’ ABLE investment program is open to residents of other states. Massachusetts-based Ascensus College Savings was chosen to administer the program following an open bidding process. The program’s fee structure is the lowest in the nation, with costs varying by participant depending on investment strategy. A typical fee will be 34 basis points, or 34 cents for every $100 invested. Ascensus will work with BNY Mellon and Fifth Third Bank on the project. In the program’s first five years, 36,000 accounts are expected to be opened by Illinois residents. All told, 500,000 accounts are expected. To qualify for the program, the account holder must have developed a disability or blindness before the age of 26. A person who meets the age requirement, qualifies for Social Security Administration benefits or has received a waiver from the IRS will qualify for an account. For more information about Illinois ABLE, visit the program’s website. A federal court monitor criticized the state last week for failing to ensure that disabled Illinoisans receive adequate community support for the second straight year, the Chicago Tribune reports. The monitor’s annual report claims inadequate state funding for caregiver wage increases has resulted in shortages of workers who assist developmental disabled residents after they’ve been moved out of institutions. According to the Tribune report, the Illinois Department of Human Services said it disagrees with the report’s conclussion, insisting that the state continues to comply with requirements put forth in a 2011 federal decree. That decree, which lays out what Illinois must do to provide community support for the developmentally disabled, was issued after the state was sued by civil rights groups for failing to comply with a 1999 Supreme Court ruling that unjustified institutionalization constitutes discrimination, according to the report.